We reviewed the DUPLO Creative cakes set last week, this week is the turn of the Creative Sorter. The set comes with 23 different bricks and 3 sorting plates. 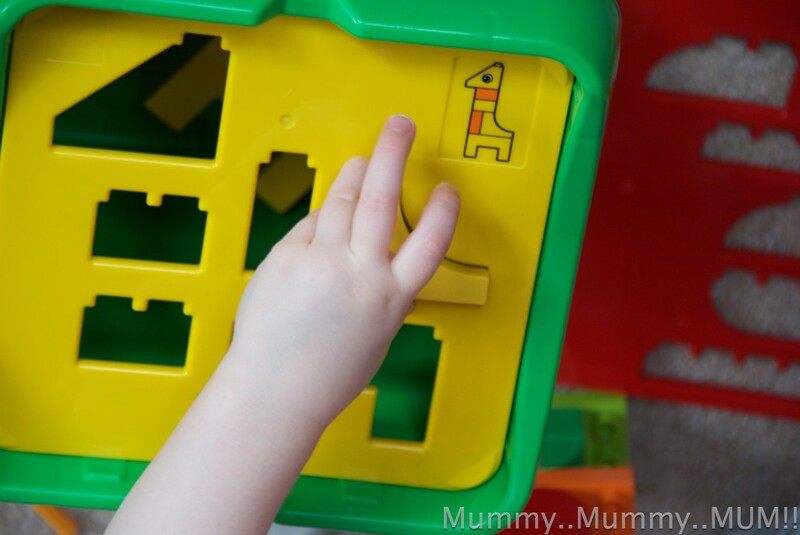 H liked to use the box like a shape sorter and loved trying to find the correct shaped brick to fit through the holes. The plates also double up as a tool to help children find the correct bricks to build one of three animals. 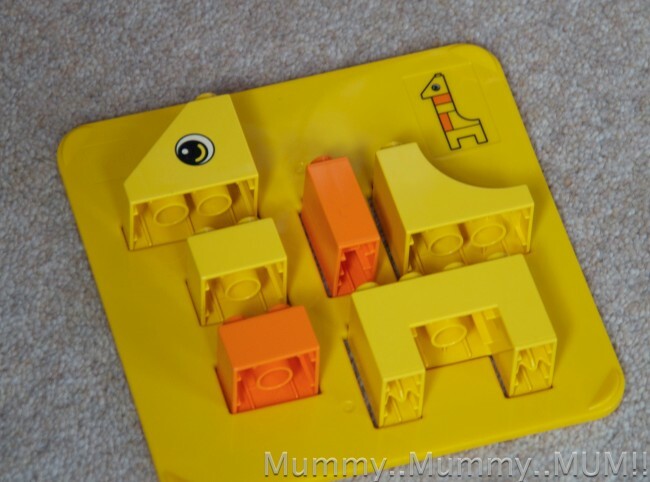 This was great for S who can’t really follow instructions yet, but once she had placed the correct bricks in the plate she could then follow the image to make the animal. For the first time I think she felt like she could build DUPLO like her brother. Once the animals were build S and Z started using them for imaginative play, before long they were being taken on a space ship to the moon for a picnic. I love seeing Z play like this as often he is very serious. This set is especially good for improving fine motor skills and logic in young children. H is getting better every day at finding the correct brick for the slots, and she is starting to try to put the bricks together, although she still gets a little frustrated. I spent much of last week putting DUPLO men on chairs as she demanded that they ‘SIT’. S’s DUPLO skills are improving also, not long ago she would only build tall towers, but today she built a house for Winnie the Pooh, and apparently tomorrow we have to build a chair. Wish me luck with that one! 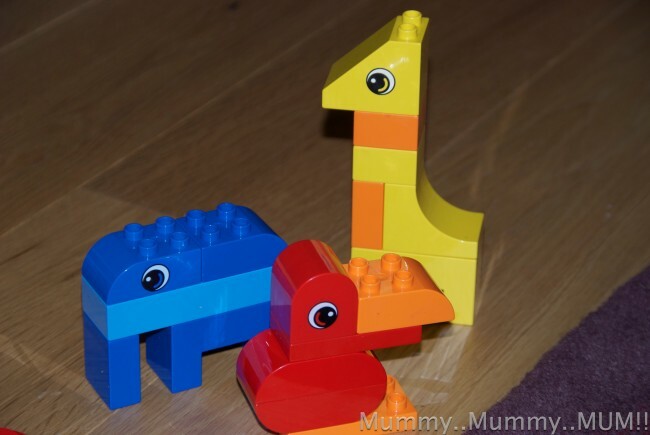 We would definitely recommend this set, especially to children who are new to DUPLO. The sorting plates are a great introduction to building. 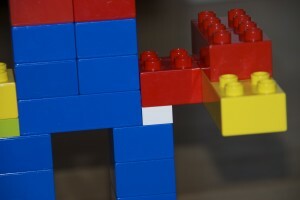 As with all DUPLO the quality is fantastic, we will get years of play from this set. 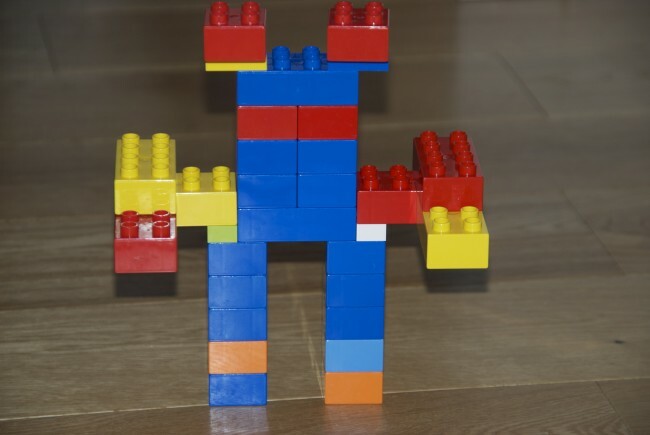 I asked Z to build me something using DUPLO and his LEGO to show that the two are compatible. This is his robot. My dad who has many years of LEGO building experience was very surprised the two fitted together so well. We received the Creative sorter set to review. All words and opinions are my own. Brilliant! Bricks and a p;ace to keep them!